Is this a joke?! Absolutely not! Guess what? Medical sciences and psychology have finally proven that LAUGHTER IS THE BEST MEDICINE! Okay, a better description would be “really good medicine”. There are clearly some medicines that are the best choice for some situations. Laughter Yoga uses pure laughter and deep yoga breathing techniques to bring about a myriad of physiological, chemical and mental benefits, helping you to better cope with and enjoy life. What does a Laughter Yoga gig look like? 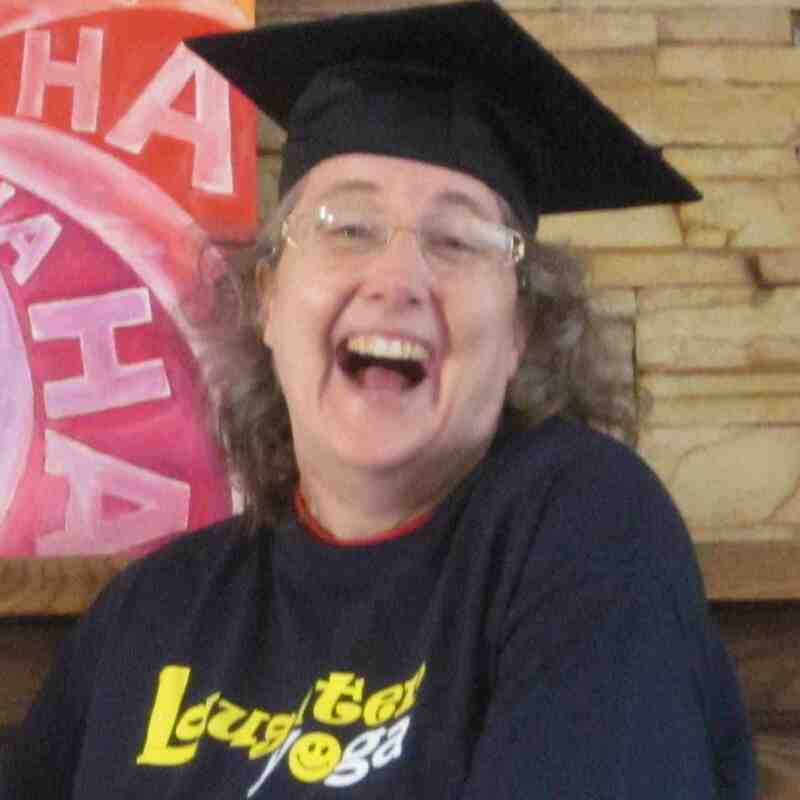 Laughter Yoga incorporates laughter into movements, simple actions, role playing, improvisation, exercises, almost anything! The ‘fake’ laughter we begin with quickly evolves into honest, contagious laughter. The yoga part is breathing, the basis of yoga. In between laughing activities, we will practice simple deep breathing as well as various yoga breathing techniques to calm or energize you. The best results are in a group of at least 6 people, but the more the merrier! Literally! I start at $52 now for a 45 minute gig. When the group gets over 15, the price goes to $60. In a perfect world (HA HA HA HA!) there would be space for everyone to stand/sit with their arms open wide and not bump into anyone or anything. With that said, I’ve done a gig with everyone sitting around a conference table in a small room! I like to be able to be as active as the group can tolerate. This IS exercise, after all! 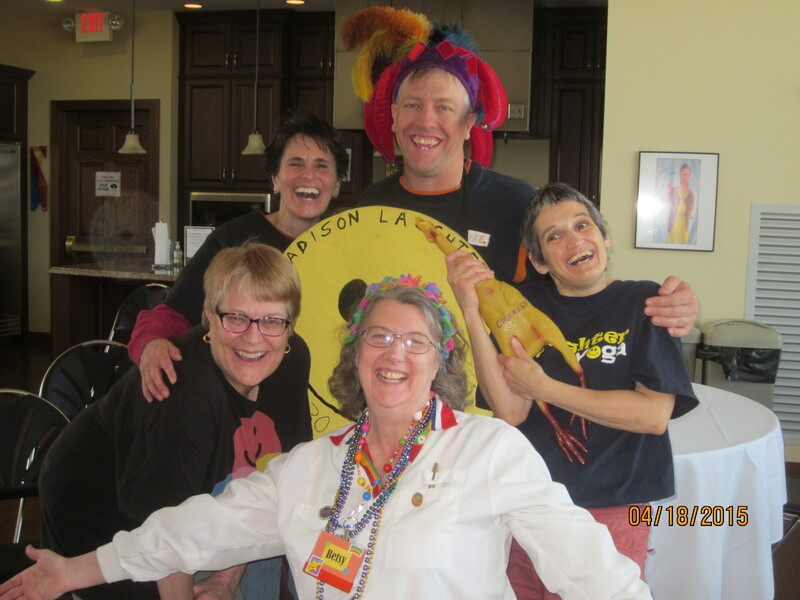 I had a great time laughing with the Madison Laughter Club last month at Gilda’s club. They were the ones who first introduced me to Laughter Yoga at Gilda’s Club.